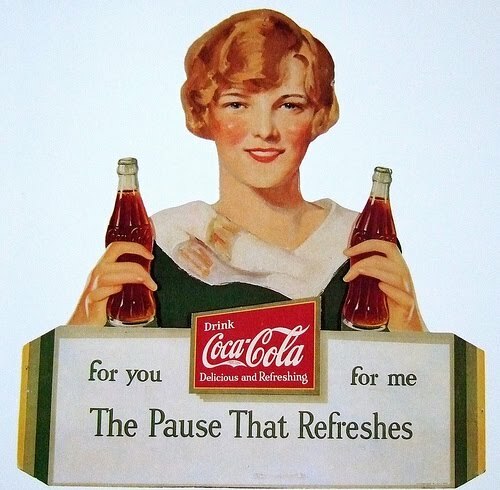 Coca-Cola used the phrase “The Pause that Refreshes” as a slogan starting in 1929. This post is about a pause that can happen in the breath cycle, between the inhalation and the exhalation. In my post about Sustaining Breath, I mentioned the pause that happens between the exhalation and the next incoming breath. Let’s explore that moment in greater depth. Sit or stand in a centred, relaxed position. You can keep your eyes open and try to take in the world around you while you do this, or close your eyes to focus on the physical sensations in your body. Your choice, but it’s more challenging to keep your eyes open, and more like “acting” to do it that way. So if you can’t do it right away, you should practice to the point that you can. As you feel empty, don’t do anything. Don’t breathe in! Just feel that empty feeling. Don’t hold your muscles, don’t tense up, don’t grip. And definitely do not close off your throat to “hold” your breath status. Just feel the sensation of being empty. It’s remarkable how long you can probably go without going on to the next inhalation. You begin to develop an anticipation of that next breath, a sort of hunger for it. When that hunger gets stronger, give in to that impulse to let breath rush in to fill you, and immediately let it rush out again. If you can stand it, don’t breathe in again. Just wait. It could be for a few seconds, or it could be for quite a long time. But just enjoy that empty feeling, until you don’t enjoy it any longer—your body will tell you that—and then just let the next breath impulse do its own thing. Let’s think about what’s going on here. As you get emptier, you’re getting into a negative situation: your lung volume is getting smaller as you contract the muscles between your ribs and as your diaphragm rises up. When you release those muscles, your lungs bounce back elastically which makes the air pressure inside your lungs less than outside of you, and so the air molecules outside of you pour in to “fill the vacuum”. The great thing about this little exploration is that, as you allow yourself to get emptier, when you release the pause and allow the next inhalation to happen, it feels as if, rather than “taking a breath,” that “the breath is taking you!” Delightful sensation; it’s a real release, a pause that refreshes! So we’ve been pausing at one end of the breath cycle, when we’re empty. Now we’er going to pause when we’re full. This is a very different exploration, but it’s still a pause, and I think that there is a release to be found in this. We begin by breathing in a regular cycle: inhalation—exhalation—pause. However, this time when you have let the air in, I want you to pause. Not let the air out, but also don’t close off your throat. In order for you to allow that to happen, you need to allow your muscles of respiration (your diaphragm and your external intercostals) to do a tiny bit of work to keep the sensation of opening going. 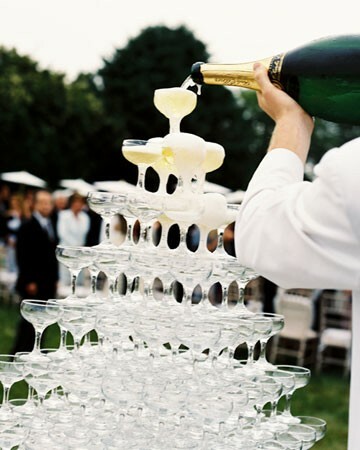 I like the metaphor of a champagne fountain to allow the breath to overflow, as if your lungs are completely full (they probably aren’t completely full, but let’s not worry about that now.) After a pause of about 5-10 seconds, just let the breath fall out with an open, silent exhalation, a sigh of release. When you feel empty, wait a few seconds for your next impulse, and then, when you feel full again, keep that sensation of being open (as if your breath is suspended, but not locked, closed or held) and really feel your throat W I D E open. When you’re ready, release and let that breath fall out on a voice sigh of [ʌ] “uh”. The feeling of just letting go, of letting that sound “fall out of you” should be a real release. Holding your breath is basically a BAD IDEA. Gripping in your throat just closes you down and stops your impulse, your thoughts and your connection to the play, the text and your partner. But pausing, that little moment of poise between one part of a breath cycle and another, with your throat open and your mind still engaged, is a GREAT idea, when it happens at the right time. Try bringing that into your daily practice and see how it works for you. All great posts! Including this one. Great to awaken the awareness/sensation of breath falling in and out, and experimenting with stillness in a dramatic situation without shutting down. This had a calming effect on me and I think can be used when tense or nervous (to slow down, centre and focus) and of course to explore the expiratory pause in the natural breath cycle. Thanks. I also liked this exercise because it was calming. Good to use this in acting when you’re getting ahead of yourself and losing the moment, or just in every day life, for the same reason!